Functional and simple to use, the CL-S321 is a great option for replacing and integrating into legacy printer applications. 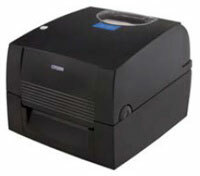 It is fully EPL2 compatible, and is a great option for the thermal transfer desktop printer category. CL-S321, Thermal transfer, 203 dpi, Serial and USB Interfaces, US Power cord. CL-S321, Thermal transfer, 203 dpi, Serial and USB Interfaces, Euro Power cord.